If you’re a basketball fan who has decided to eliminate cable TV and get all of your content online, you may have found it hard to find all of the games you want. This is where the NBA League Pass Kodi addon comes in. For $17.88 a month, NBA League Pass allows you to follow your favorite team all season long. For $39.99/month, NBA League Pass lets you watch every NBA game with no commercials. The NBA League Pass Kodi addon gives you access to all of these games from within your Kodi media player, doing away with the need to use a web browser to see them. 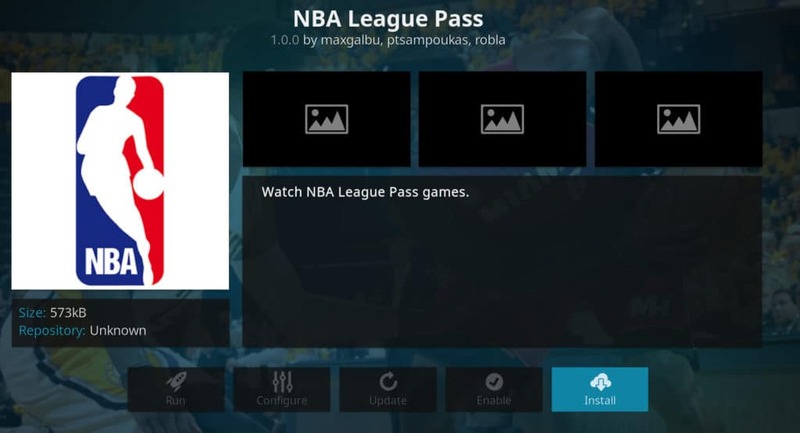 This article will give you all you need to know how to install and use the NBA League Pass Kodi addon. Kodi is a software media player designed to let you watch whatever videos you want on your television or computer. It can also work on an Android or iOS smartphone, Roku Box, Apple TV, or Amazon Fire Stick. Kodi comes from the XBMC Foundation, a non-profit collective of software developers who primarily work on open-source applications. 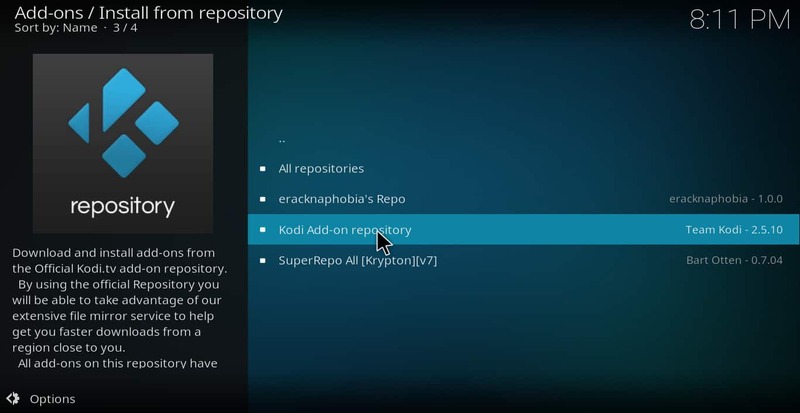 Kodi is free to download and install, and the addons are free as well. The only thing you ever have to pay for with Kodi is the content you stream on it. Kodi has gotten a bad rap in the media because it is often used to stream pirated content. However, there is plenty of legitimate content available for Kodi as well, including the NBA League Pass addon. Using Kodi to view this content is a lot more convenient than using a web-browser. It can be operated with an RF remote control, smartphone, or game controller. Although there are a lot of advantages to using Kodi, there are also some risks. Because Kodi uses addons created by independent developers, it is only as secure as the servers of these developers. It is possible for a hacker to secretly change the code in an addon and use it to do a “man in the middle” attack to reroute your streaming data into his or her own network. This stolen private data can then be used for malicious purposes. In addition, ISPs have been known to throttle the internet speed of people who stream Netflix and to spy on Kodi users accessing pirated content. It wouldn’t be surprising if they also did this to Kodi users streaming from NBA League Pass or other online video services. The best way to solve these two problems is to use a VPN. A VPN encrypts your data and sends it through the VPN’s network, disguising your IP address and preventing your ISP and any hackers from knowing what you are doing. It can also fix Kodi buffering issues. Unfortunately though, many VPNs are slow because they rent outdated equipment from other companies. This is why we recommend that Kodi users take advantage of IPVanish. IPVanish is a VPN service that maintains its own infrastructure. In our own testing, we have found IPVanish to be extremely fast and suitable for high-quality video and audio. Importantly, unlike some VPNs, it keeps no logs of customer activity so sites you visit and content you stream will stay private. IPVanish works on all major streaming devices including Firestick. You can read our detailed review of IPVanish here. Installing the NBA League Pass Kodi addon is easy. Just follow these instructions. Click “install.” It should take no more than a few seconds to install. Once you’ve got the addon installed, right-click on it and select “information” to bring up the information screen. Click “configure” and then “username” to put in your NBA League Pass username. You can then do the same with the “password” selection to complete the login process. If you try to open the addon without first doing this, it will still give you a list of programming that is available. However, it will produce an error message anytime you try to play something. You can also use the configuration screen to set the addon’s resolution to match your television or device capability, set your favorite team, toggle whether to hide or show scores, and toggle whether to show live games in your local time zone. After the addon is configured, go back to the information screen and select “open” to get to the main menu. 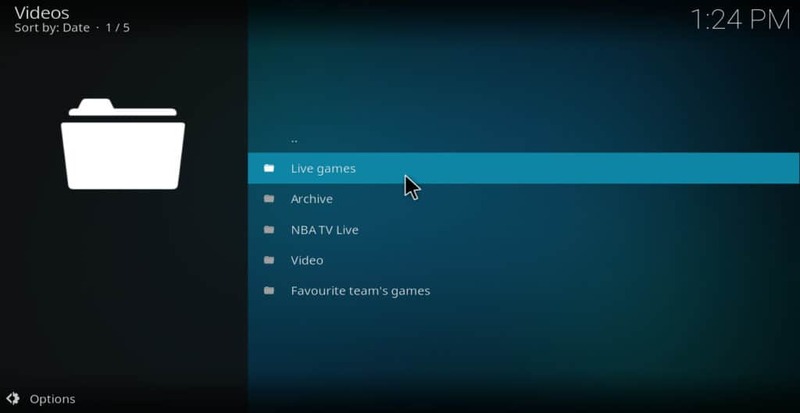 From this menu, you can decide whether to see a list of live games, archived games, video clips, or content from NBA TV. You can also click on “favorite team’s games” to see a list of upcoming games from the team you selected as your favorite when you signed up. NBA League Pass allows you to watch whatever NBA games you want, without being tied down to a cable TV sports package. If you generally only watch games from your favorite team, it’s best to go with the $17.99 a month package. This allows you to see all of the games from one team that you select when you first subscribe, excluding blackouts. If you are interested in more than one team or if you want to watch as much basketball as you can, the $28.99/month plan allows you to see every game from every team except for ones that are blacked out in your area. For $39.99/month, you can not only watch every game but can also get an “in-arena” stream from multiple angles even when commercials are running. This essentially allows you to watch games commercial free. Regardless of which plan you pick, local and national channels do sometimes buy up exclusive streaming rights for particular games. If the game you want to watch is one of these, it will be blacked out on NBA League Pass. However, the vast majority of games are not in this category. 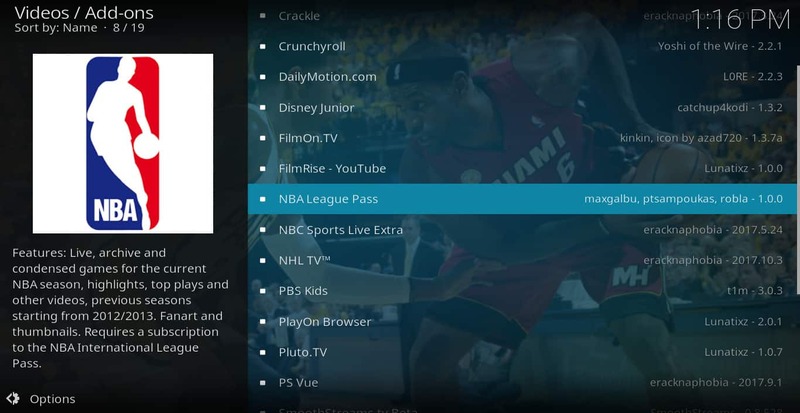 If the particular game you want to watch is blacked out on NBA League Pass, you may be able to find it using one of the additional Kodi addons listed below. NBA League Pass will give you almost all of the NBA games that occur in a season. However, it’s still possible to miss a few because of blackout restrictions. Here are some other options for watching NBA games on Kodi without a cable TV subscription. If your game is not available on NBA League Pass, it may be on one of the channels offered through these addons. 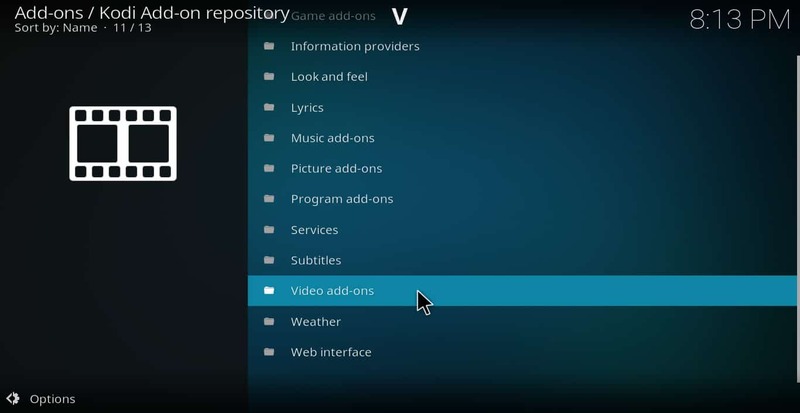 All of these addons are located in the official Kodi repository unless otherwise stated. 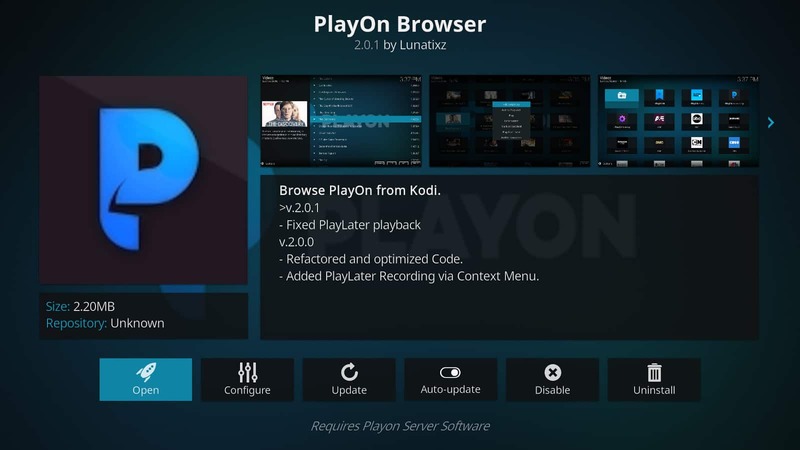 PlayOn is a DVR service that allows you to record programs from many different streaming channels, including Netflix, Hulu, and Amazon Prime Video. Most importantly for sports fans, it’s compatible with DirecTV Now and even allows for some limited live streaming through various sports streaming services. DirecTV Now is a streaming TV service similar to Playstation Vue. For $35/month, they offer FOX, ABC, NBC, CBS, ESPN, ESPN2, FS1, and NBCSN. 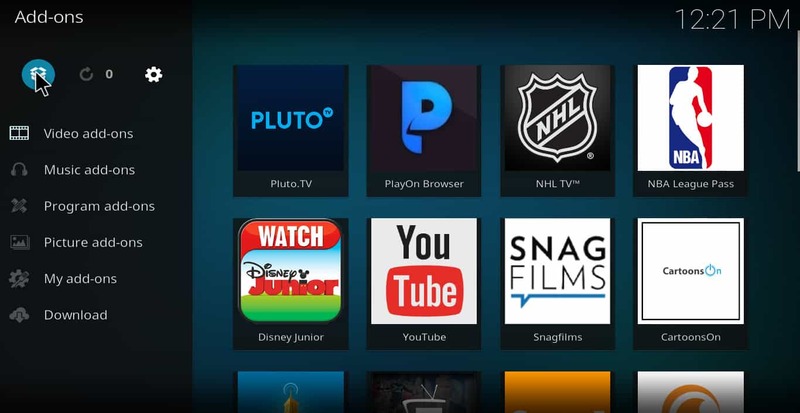 In order to watch DirecTV Now on your Kodi, you will need not only a subscription to it but also a subscription to PlayOn. However, PlayOn is pretty inexpensive at $30/year. 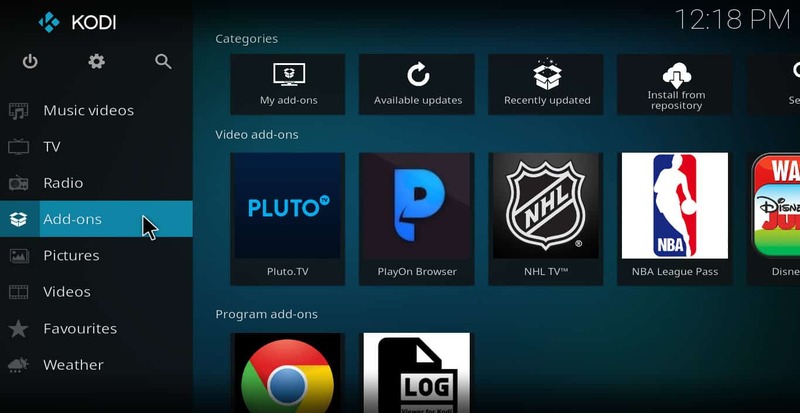 Accessing these channels through PlayOn will also allow you to record them and save them for as long as you want, even if you cancel DirecTV Now in the future. 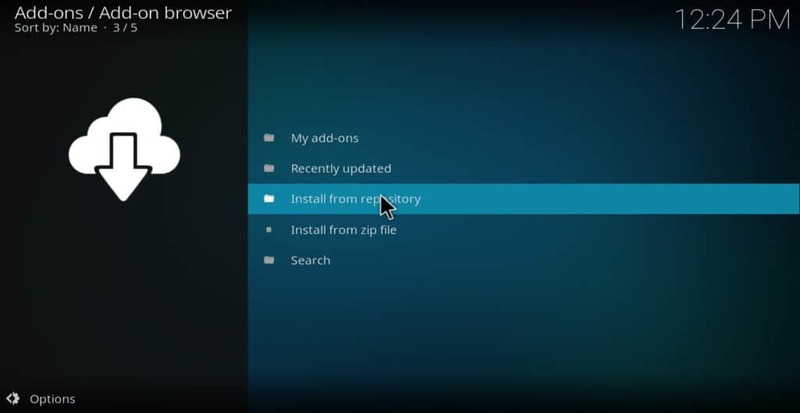 The PlayOn Kodi addon is located in the official Kodi repository, and the DirecTV Now menu can be found within the main menu of it. Even with the blackout restrictions, the NBA League Pass Kodi addon still provides the most NBA games of any legal Kodi addon. If you’re a basketball fan, it’s a great addon to have. 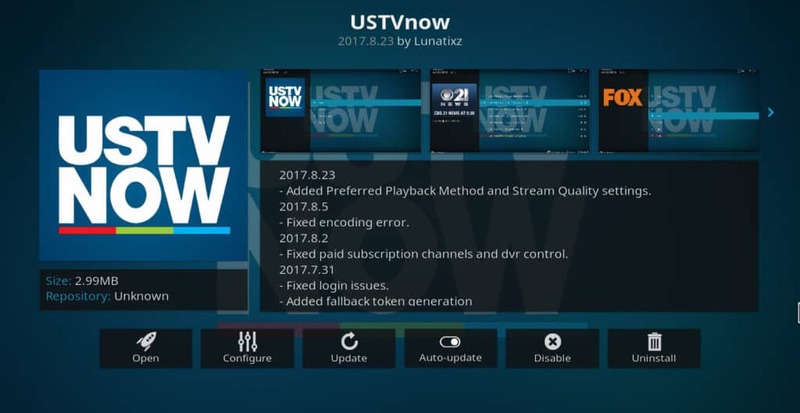 USTVNow is a streaming TV service marketed to U.S. military personnel stationed overseas. However, it is also very popular with people who simply want to watch TV without a cable subscription. The free version of the service offers FOX, ABC, NBC, and CBS. Many nationally-televised NBA games are on these channels. For $19.00/month, USTVNow will also provide you with ESPN and ESPN2. Sportsnet is a collection of sports channels offered in Canada. Toronto Raptors games are often carried by these channels. You can get a Sportsnet Now subscription for $24.99/month and use the Sportsnet Kodi addon to stream it. Sportsnet Now also works with a VPN if you’re traveling outside of Canada, but will require a Canadian credit card account to sign up. 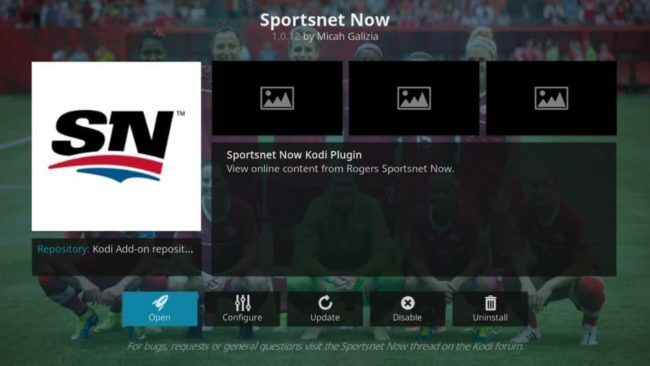 You can install the Sportsnet Now addon from the official Kodi addon repository. Playstation Vue is a service made specifically for cord-cutters. It is intended to provide all of the channels you would normally get with a cable subscription, but without having to rent a cable box or otherwise follow the arbitrary rules of the cable companies. For $39.99/month, Playstation Vue gives you ESPN, ESPN2, FS1, FS2, and NBCSN. If you can’t find your game on NBA League pass, it’s probably on one of the channels carried by Playstation Vue. 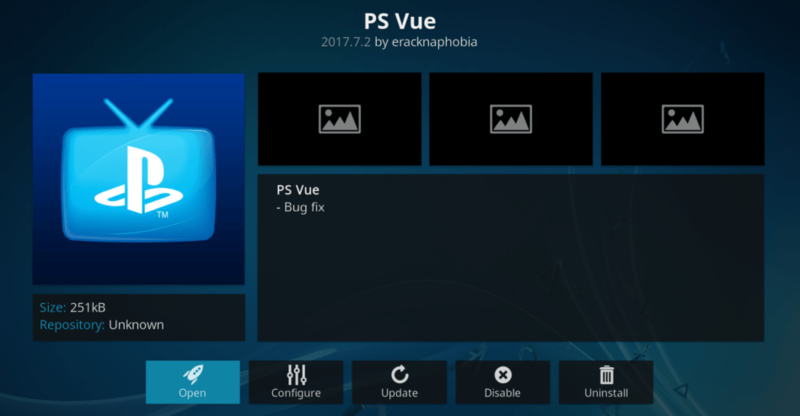 The PlayStation Vue addon is available from the official Kodi addon repository. The NBA League Pass addon for Kodi is presently only working for archived games, not for live games. I’m quite sure that it’s not because of blackouts as I am outside of the US and the NBA League Pass app for Android is able to play live games with no issues other than that the video quality isn’t quite as good as Kodi.